Having tattoo regrets? Tired of old, faded tattoos? Tired of wearing long-sleeves during the summer just to go to work? People choose tattoo removal for various reasons, and all of them are legitimate. Whether you want to permanently remove your ex-wife’s name from your arm or decided that the Bart Simpson tattoo you got on Spring Break isn’t actually as funny now as it was then, laser tattoo removal is a great way to start over. Perhaps you have tattoos on your face or neck that make it hard to find a job, or you want to distance yourself from your old lifestyle. You don’t have to live with unwanted tattoos. With the newest laser tattoo removal technology, we can remove all colors and sizes of tattoos. Contact our Miramar medical spa today to make an appointment and get started on your tattoo removal journey. 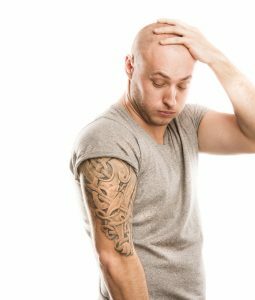 No matter the reason, we have your solution with Laser Tattoo Removal Treatments. All Colors and All Sizes. Newest Laser Technology!